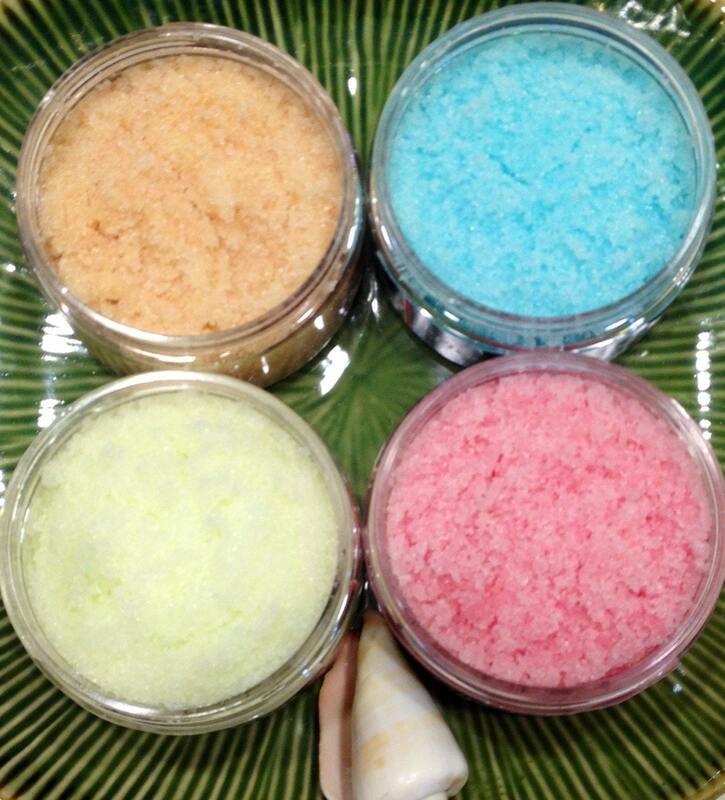 Get ready for summer with this tropical sea salt scrub scented of pineapple, grapefruit and orange. 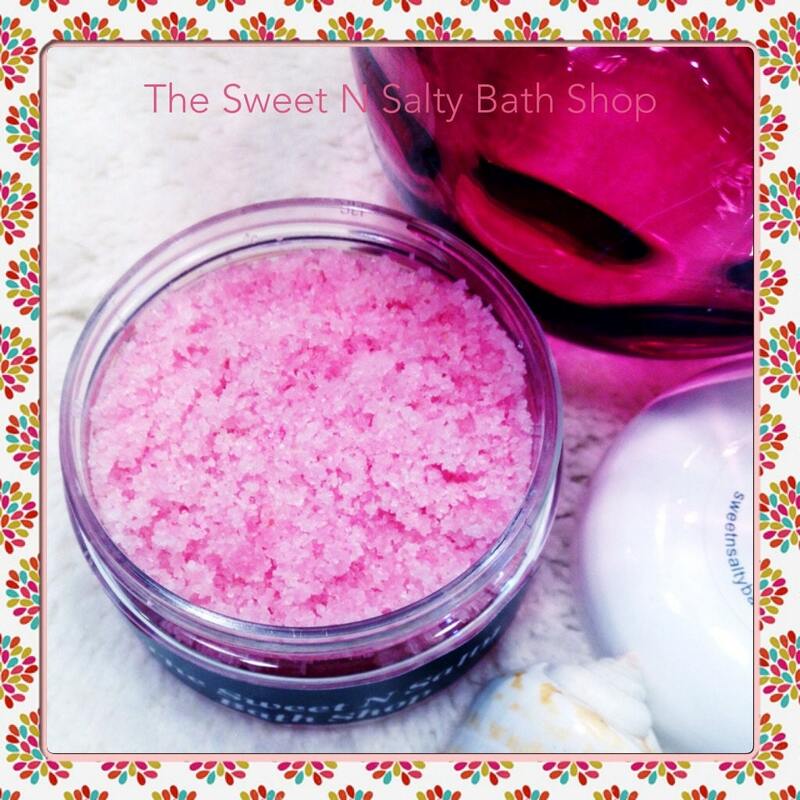 Pamper yourself while exfoliating with tropical sea salts that will leave your skin revitalized, moisturized, silky and smooth. Made with high quality ingredients such as Shea butter, coconut, almond and vitamin E oils that nourish and rejuvenate skin. 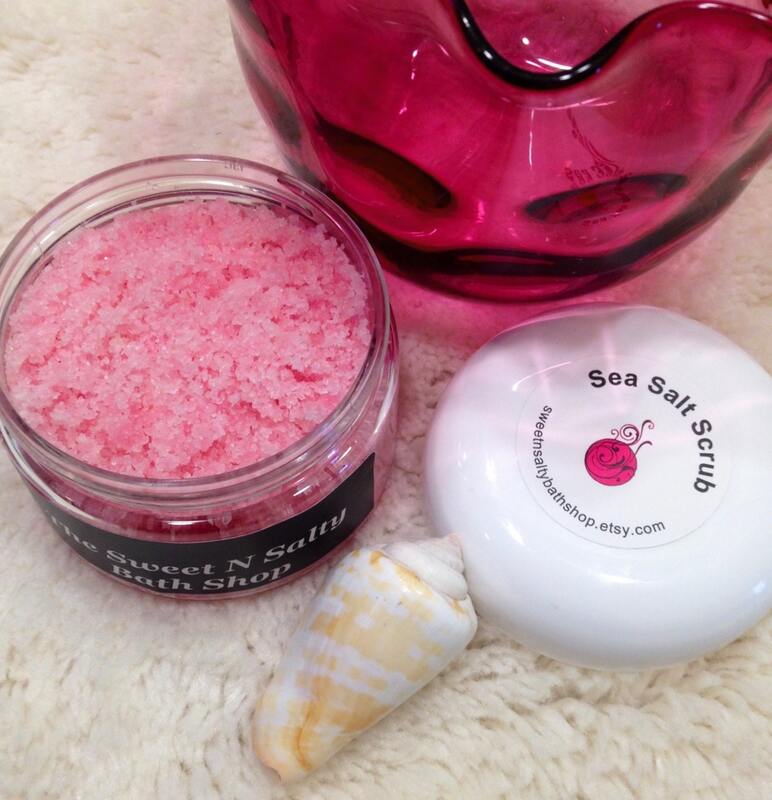 You will notice the look and feel of your skin after just one use! 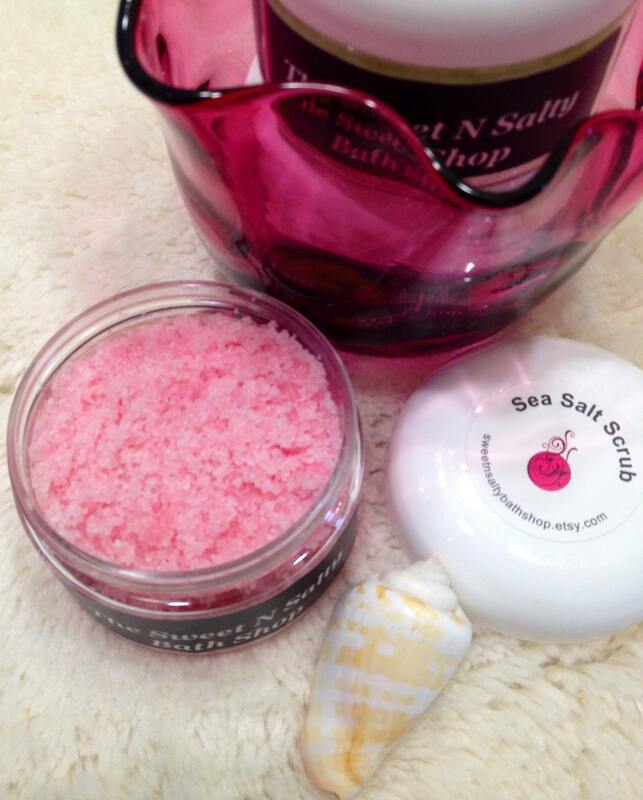 To use just rub vigorously for a minute or two on hands and/or body to remove dead skin cells and impurities. Rinse well. Great for dry areas including elbows, knees and feet. Use before shaving to avoid skin irritation. For external use only. Use caution as oils may cause shower or tub floor to be slippery. 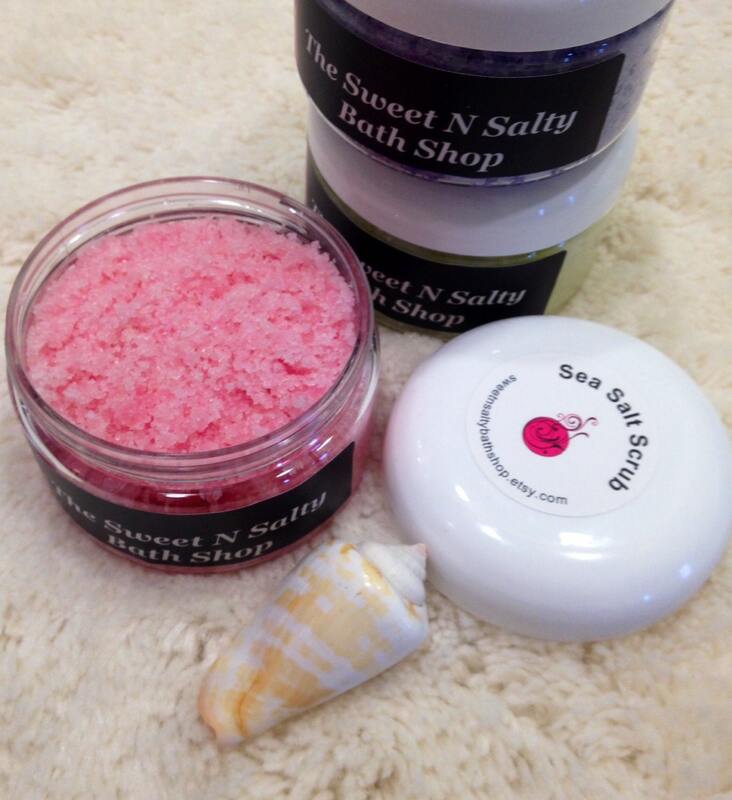 Each scrub comes nicely wrapped and includes spatula for easy application. All scrubs ship nicely wrapped and include a spatula for easy application.